It's always strange when something you've been planning for months and months actually happens - there's a surreal quality to the entire thing and even moreso when you're seeing people you've been watching for a year on screen with your own two eyes. 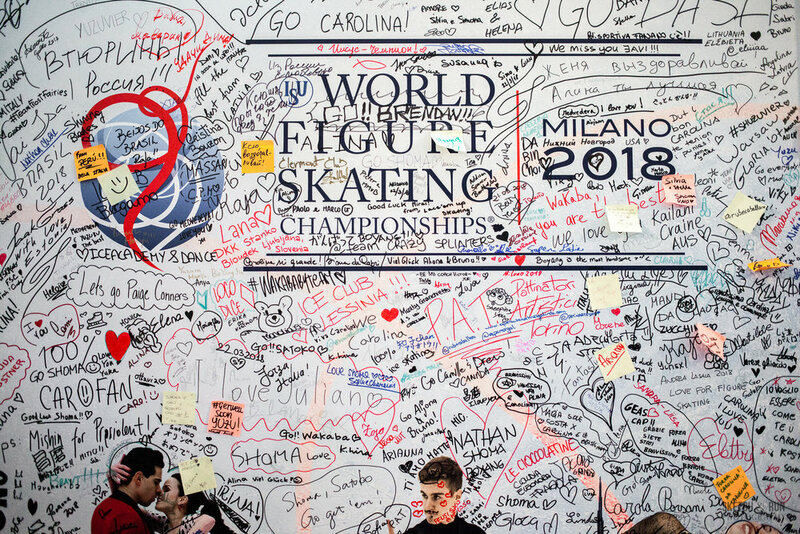 It kills me that the ISU aren't better at marketing and making accessible what is an incredibly compelling sport, but it made me so glad I got into it when I did, and I also see what people mean when they say your first competition is only the gateway drug. This won't be my last competition, that's for sure and I'll be bearing gifts with me next time. Seat selection: The long side of the rink behind the judges is best because the skater will be performing right at the judges (and you) so you'll see the 'fullest' performance, but they're also the most expensive. But if you have to pick between front row seats on the short side and mid-row seats on the long side, I'd still go for front row because being that close live is something you can't replicate (whereas you can always rewatch the program fully on TV). that being said, mid-row on the long side gives you a better sense of the skater's ice coverage and you can still get to the front to throw gifts and potentially sometimes to wait at the end of the competition for the winners to skate past you. 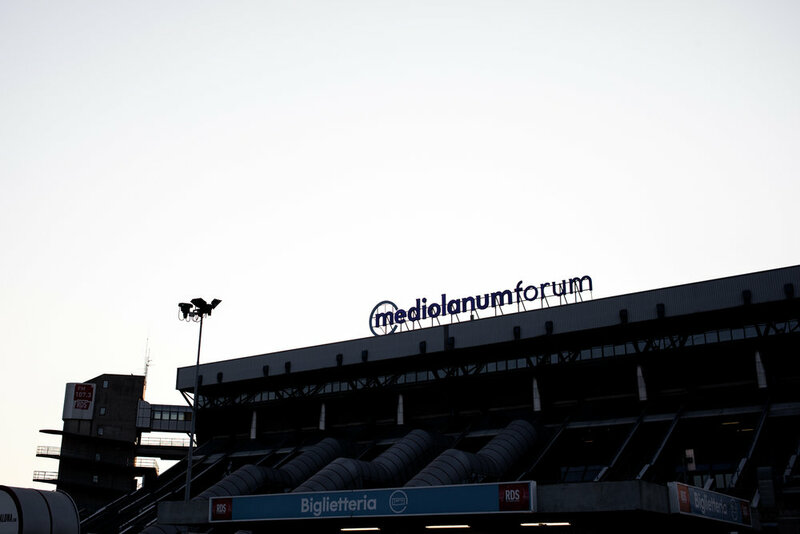 Bring your food and drink, go to the bathroom before, buy return tickets in advance: As long as the venue allows, definitely buy your food and drink beforehand (try to go for easy to eat things like bread or dry snacks) and try not to go to the bathroom. Also, if you can, buy your return tickets in advance because there will be a post-competition crowd at the station. You avoid loooong queues and save a LOT of money. If you can't get tickets, you can wait and gamble: Don't despair too soon if you don't get ickets. Life happens and sometimes people can't make it, or they bought multiple tickets and found better seats and need to get rid of their old ones. Forums like GoldenSkate or fan forums/Facebook groups/Twitter for specific skaters will often have threads for buying/selling tickets. I managed to score my front row Ladies FS seats because a JP fan had extra (again, if Yuzuru is appearing, this becomes less likely for his events). If you're not too picky, there will almost always be a way! Attend the practices: Practices are generally much emptier so front-row seats are often empty and I believe it's generally less strict about where you sit. If you want to see skaters up close in a more relaxed setting, it's the best chance to do it. The roar and energy of the crowd - who were so incredibly supportive of every skater and clapped so loudly to encourage them every time they fell or made a mistake - was truly incredible, especially for the Italian skaters and Carolina in particular (of course) when it really did feel like the roof was about to blow off. You can’t really hear the blades but you can really see the effort it takes to jump, the 3D feeling of the actual leap and the height/distance covered that gets flattened by TV cameras - Mikhail and Kaetlyn's jumps impressed me live, they got so much height, Mikhail had that SNAP before takeover and they had really smooth landings. Satoko did a spiral and dipped so low and I basically DIED because other skaters had done spirals but you could feel the difference in quality. Her layback killed me a second time, there was so much careful deliberation in her movements that is enhanced live, and there are immediately skaters that you fall in love with watching just because they're so lovely to watch. Up close, the sound of blades on the ice is audible if the skater is spinning close to you (it's a SHKSHKSHKSHK) but you can't really hear them otherwise. If you're sitting at the front, they will nyoom by you so fast. Skaters don't surprise you so much live - they look almost exactly like they do on TV and basically skate like you see them, albeit faster than you'd think. 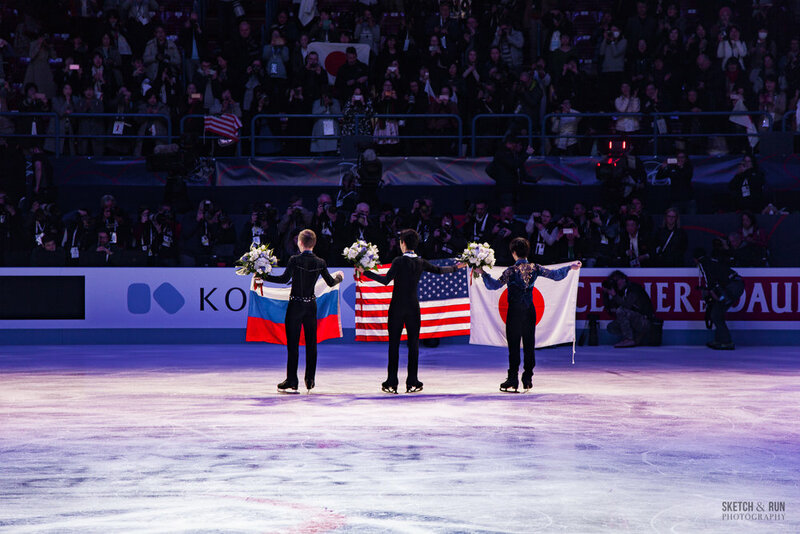 But the energy of a good performance makes such a huge difference that I really do wish it was taken into more account for PCS - Kazuki Tomono and Donovan Carillo, for example, had the crowd's full support from the get-go (probably because of their SPs). Loena Hendrickx was super compelling and Ivett Toth's rock music was such a drastic mood swing from the soft, pretty music from the ladies and it made everyone kind of go HELL YEAH, even though she made some mistakes. Michal Brezina lit the energy of the arena with his performance and played the crowd so well, as did Alexei Bychenko. Deniss Vasilijevs was so beautiful to watch - fully committed to every single movement and got the crowd to roar with his last spin position. 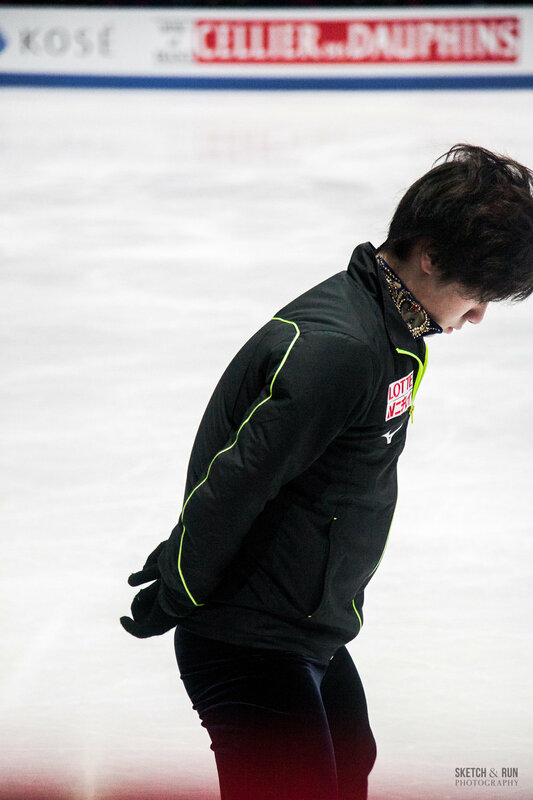 The intensity of Shoma's upper body movement is more apparent live. 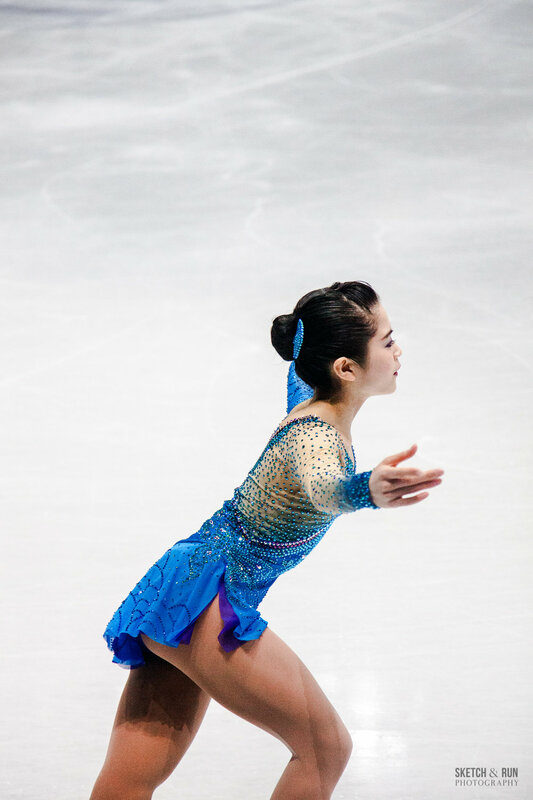 I already expected Wakaba to be incredible live but, to be honest, I was so nervous for her and Boyang that I feel like they were, ironically, the performances I didn't process properly - I didn't even realise Wakaba had cleared all her jumps until she started her StSq because I was just willing her to go clean the whole way through. But the emotions definitely hit me when her scores came up and when we realised she was guaranteed a medal. I was surprised you can sort of tell whether someone's going to succeed in a jump or jump well by their takeoff - there's a 'snap' to a good takeoff that's even more obvious live. From further up, you can also clearly tell when someone's axis is tilting midway through (usually the mens) and when they're in trouble. Other skaters' takeoffs left you super uncertain about whether they were going to land or not. Someone asked me about Stanislava Konstantinova - I actually didn't see her fall in practice because I was focused on another skater but I saw the aftermath and it looks like she had landed in a really bad position. She struggled with her jumps immediately after (popping most of them) and it looked like she had injured herself so I really didn't process her performance because every jump takeoff would make me nervous. Everyone who goes to a FS competition live and their mothers rave about how the costumes are so much sparklier in real life and I'm sorry to add to that number but it's true, it's so so true, and they're all absolutely gorgeous!! Kailani Crane probably had my favourite costume, to be honest! Live, it's really hard to keep track of the elements since you don't have the helpful TES box, so the score is genuinely a mystery to be revealed every time. There were times when quads looked like triples so I'm truly impressed by friends who could spot URs and whatnot in real time. and I straight up didn't realise how many quads Nathan had jumped because I was too busy focusing on the fact he was landing stuff. Every skater is exciting to see live, even those in the earlier groups and the crowd was fantastic, clapping along to the beat for every skater.